Iron Absorption	There are 2 products. 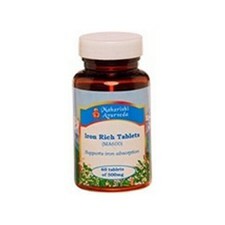 Ayurvedic supplement that contain iron carefully prepared in the Ayurvedic way (iron bhasma) for easy assimilation. 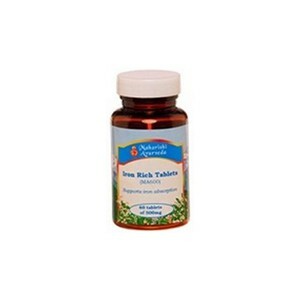 The herbal ingredients help support iron absorption and metabolism. Supports iron absorption and metabolism.